Heat olive oil and butter in a frying pan. Add diced bacon, brussle sprouts onion and garlic and cook over a medium heat until lightly golden and bacon is crispy. Add in baby broccoli and cook until wilted. Pour contents into cooked pasta, crumble in feta and leave some aside for serving. Stir through with pasta until well combined. 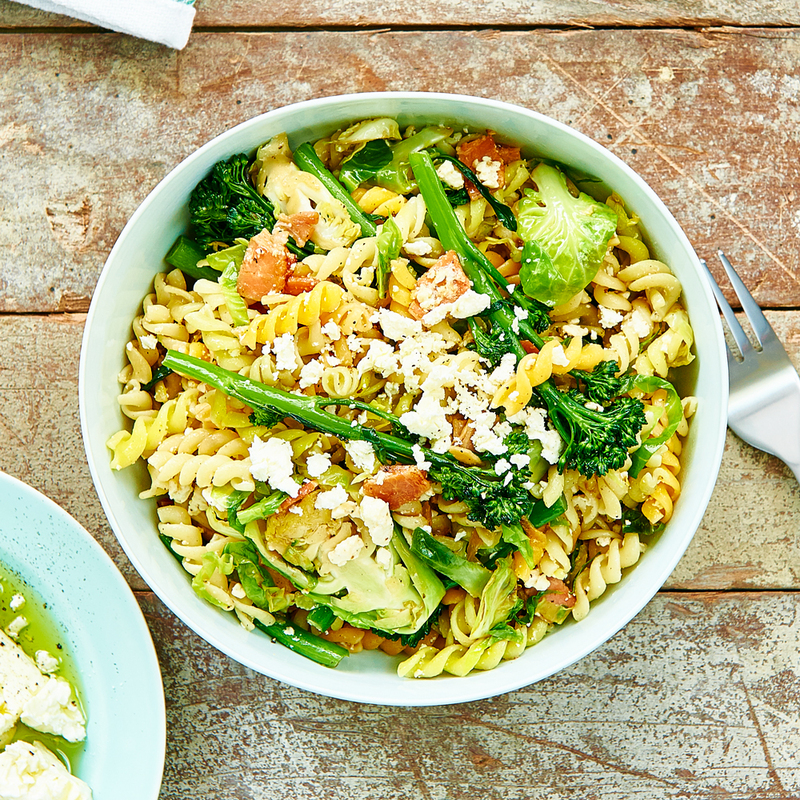 To serve, top pasta with more crumbled feta and cracked pepper.